Reserved Seating – Click HERE for seating chart. Now, over fifty years later, John McCutcheon gets to flex his own musical muscles. But the six-time Grammy nominee has been doing so for over forty-five years and delivers once more in this, his remarkable fortieth recording. To Everyone in All the World: a Celebration of Pete Seeger was created in honor of Seeger’s 100th birthday, May 3rd, 2019. For nearly a century Seeger, who died in early 2014, shaped, transformed, and help create what people “in all the world” think of as American music. Kids in schools and summer camps owe their repertoire to him. Singers from concert halls to picket lines still use songs penned and popularized by him. And audiences around the globe have discovered the rich harmonies they were urged to explore in concert halls and in their communities. Whether it was the original songs (“If I Had a Hammer,” “Where Have All the Flowers Gone,” or “Turn, Turn, Turn”), the songs from others lands and tongues (“Guantanamera”), or the traditional gems he introduced, Seeger had an ear for a great song and an eye on the prize. And that prize was helping Americans understand where they came from, who they were, and, not incidentally, what they might become. McCutcheon was a friend, a student, and an heir to Seeger. The easy command he demonstrates with the wide-ranging material bespeaks a lifetime of studying both the man and the music. 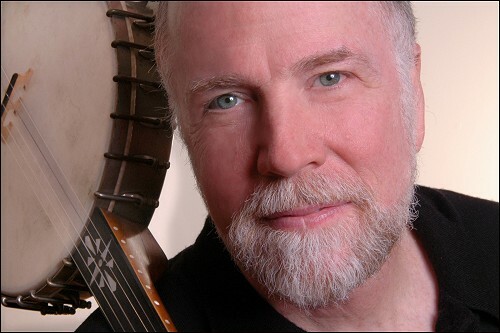 And Seeger’s ever-curious reworking of songs and styles is evident in the kaleidoscope of genres McCutcheon employs in the re-imagining of the fifteen songs in this generous collection. He invites the legendary bluegrass band Hot Rize in for a go at “Well May the World Go.” Cajun luminaries Beausoleil help him tackle “If I Had a Hammer.” Whether duetting with Nicaragua’s Katia Cardenal or country music’s Suzy Bogguss, harmonizing with Canada’s Finest Kind, joining with blues man Corey Harris to turn a talking blues into a hip-hop take of “Talking Union,” or the lovely “Turn, Turn, Turn” with Americana’s The Steel Wheels, the result is fresh, exciting, and illuminating. Fiddle wizard Stuart Duncan is, as usual, a constant throughout, while multi-instrumentalist McCutcheon chimes in with hammer dulcimer, banjo, 6- and 12-string guitars, and even Tibetan singing bowl. The pristine production is what we’ve come to expect from a McCutcheon recording, the musicianship world-class, and the obvious love of the material permeates everything about this recording.